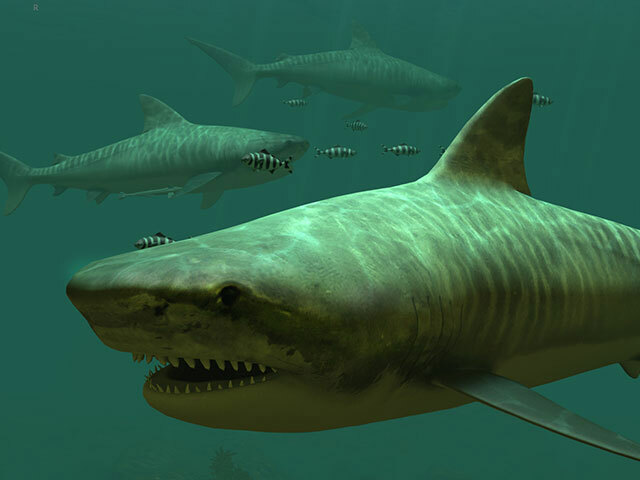 ﻿ Tiger Sharks 3D Screensaver – Contemplate one of the most dreadful predators of the sea! The first word in the name of this sea predator immediately triggers the tiger’s image in our minds, and such association is not a bare coincidence. These predatory fishes received their name due to their stripy body which slightly reminded the tiger’s coloration. Scientists consider sharks to be the most savage, bloodthirsty, and dangerous fishes on the planate. Reaching 9 meters in length this predator has all the successful hunter needs – an excellent sense of smell, good eyesight, the ability to feel the slightest electromagnetic radiation, and unbelievable mobility the secret of which lies in the shape of their body and a large back flip. Being very gluttonous these sea tigers are not fussy about food so their stomachs are always full with all sorts of things. These creatures are the most dangerous enemies to humans as they can easily attack and kill people. 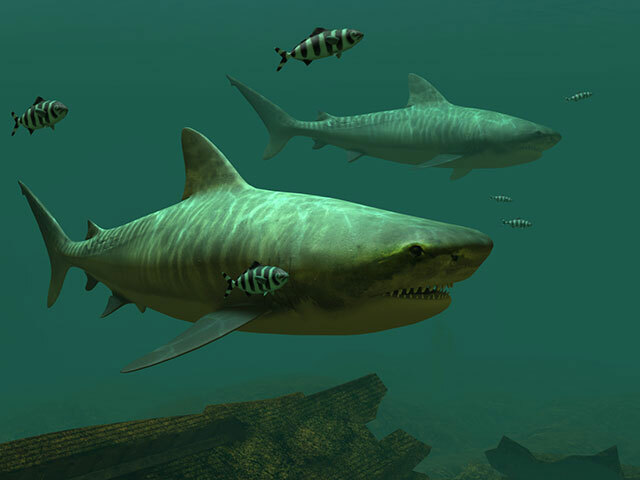 The Tiger Sharks animated 3D screensaver provides an excellent opportunity to watch these sea predators and examine their habits. But we must warn you that their easy and supple movements are not more than a trick; as soon as the new victim appears in sight, the sharks attack it in a violent manner that makes the escape of the prey impossible. Don’t fancy trusting the misleading thoughtful eyes of these creatures and remember that the tiger shark seizes what it has caught with a death grip and always choose to eat uneatable than to miss the victim. That is why you’d better enjoy the gracefulness of tiger sharks – the dangerous dwellers of the low latitudes – from your safe office. 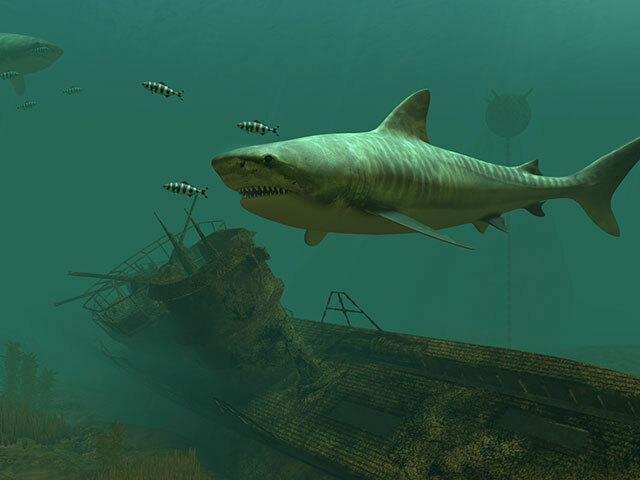 As these predators prefer the shallow water and sometimes manage to swim to the mouth of the rivers, the screensaver allows you to admire the picturesque views of the virtual sea bottom. With this screensaver for Windows 10, you’ll forget all daily troubles and will enjoy the beauty of the most formidable sea dwellers.